1. Never, ever again do calculation while watching Arrested Development or any other similar show.My ‘geese’ were supposed to fly North, but instead, now are flying West. I like it that way. 2. I will probably not attempt to do flying geese again with such small triangles – they are only 1 in high (when finished). There are so many seems back there that it was hard to keep the top flat – I kept needing to iron it, over and over again. 3. 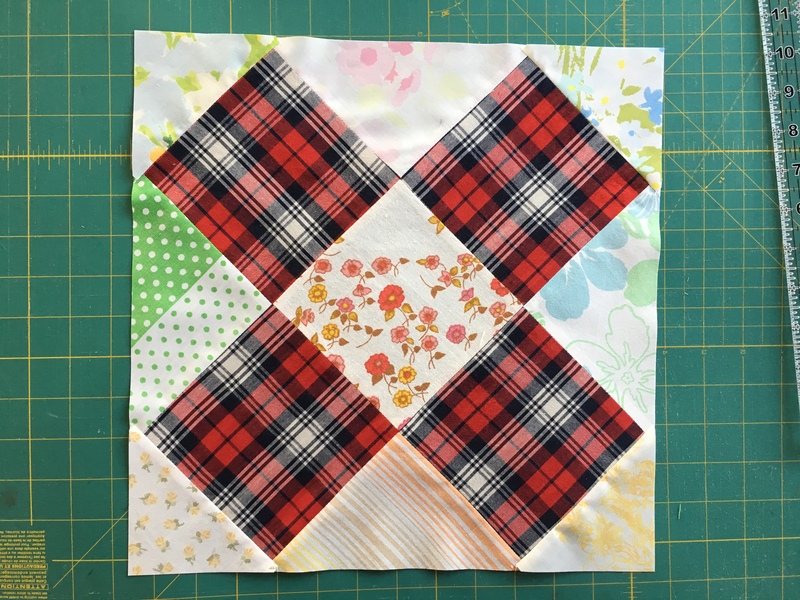 Next time I do flying geese I will not cut out triangles – I will try to do the fast method … with squares … (cannot find the link just now)… The triangles were all over the place – and the matching was far, far from perfect. I originally wanted to quilt diagonally, along the short sides of the triangles, but they were aligned so poorly, that it would not look so nice. That bothered me fo awhile. But then we went to dinner to our friends house, and they had an antique quilt out. It was beautiful but all sorts of wonky. And then I felt mush better. And finished the quilt. Quilted with straight lines. Note to self: learn to get over yourself. 4. 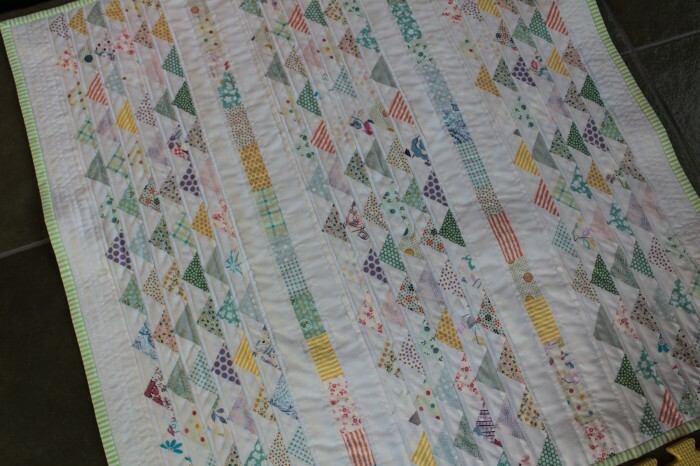 It was fun selecting fabrics – I belive there are over 30 different prints in this quilt. I also washed it today. And I like it now even better. It is so soft and wrinkly, I wish it were bigger (it is about 31 x 32 in). And, I realized that I don’t have a good spot in the back yard for taking pictures. And do I have time to go around trying to find a good spot, borrow somebody’s fence or run to the beach. No. Note to self: find a good taking pictures spot. 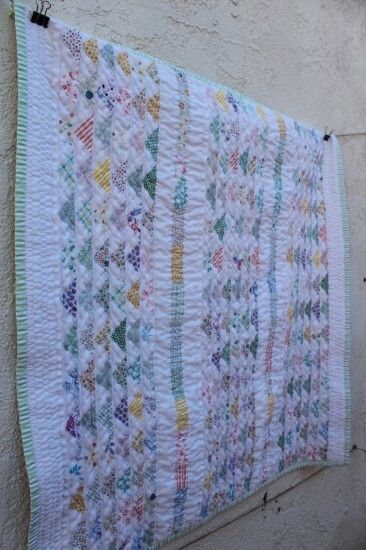 This entry was posted in fabrics, making, quilting, sewing and tagged spring quilt on July 29, 2010 by flekka.